UCL Press is delighted to be taking part in JISC’s Institution as e-textbook publisher project workshop on Friday 16 June 2017 at Radisson Blu Birmingham. This event is free to attend, and focuses on the four-year institution as e-textbook publisher project which investigates the viability of higher education institutions publishing their own e-textbooks. Book now to reserve your place. During the project, participating institutions are creating eight textbooks covering a range of subjects, applying business, licensing and distribution models and reporting back on the impact, value and viability of the models they choose. Costs: how long did the books take to write, what were the hidden costs? Feedback: Would the authors do it again, would they act as champions? Implications of implementation: What are the implications for the wider adoption of the e-textbooks at other institutions? Delegates will be encouraged to make notes on these areas and to contribute thoughts and ideas in relation to their own institutions in the afternoon workshop. This will allow participants to discuss the themes and look at the notes made by others. These ideas will help shape a proposed toolkit for institutions, which will be a major outcome of the project. The workshop will appeal to potential authors, librarians, learning technologists and senior university staff who may wish to consider publishing their own e-textbooks. Find out more here. Economic Exposures in Asia is a brand new interdisciplinary series showcasing ethnographically-driven analyses of changing economic landscapes in Asia. In an early issue of New Left magazine Radical America, (a product of the campus-based 1960s movement Students for a Democratic Society) the editors outlined their aim to educate readers ‘about the radical traditions of this country’, to provide a ‘forum for students of American radicalism’, and to break down the barriers between the ‘activist’ and the ‘intellectual’. In doing so, Radical America refashioned a blueprint for American periodical radicalism that had been passed down by activists and editors for generations. As oppositional outlets for expressions of political, cultural, or social dissent, radical American periodicals have played a vital role as a forum for radical debate, and a challenge to mainstream understandings of American democracy, citizenship, and community. Yet what makes a periodical ‘radical’? And what makes it ‘American’? How has our understanding of these terms been shaped by the complex and constantly shifting nature of radical protest and the nation-state? And in what ways does this definition change depending on the editorial production, financial composition, geographic distribution or visual aesthetic of each ‘radical’ periodical? This special issue seeks to address these questions through exploring the role and resonance of radical periodicals in America from the 18th to the 21st century. Bringing together scholars from a range of different disciplines and historical periods, we seek to interrogate how the concept of the ‘radical periodical’ in America has varied across time and place. We are not only interested in well-established oppositional periodicals, but also more transient forms of radical print – the hand-printed, mimeographed, photocopied, short-lived, minority, dissident, or extremist periodicals which have offered radical new perspectives on American culture, values and politics. We are also interested in papers which examine the connections between individual ideology and editorial intent, radical social movements and periodicals, the development and composition of radical audiences, and the challenges and opportunities of preserving radical periodical in the digital age. • Dissident or banned periodicals. • Communist,fascist or anarchist periodicals. • Minority, feminist and queer radical publications. • Reactionary radicalism, white nationalist and far-right periodicals. • Radical American periodicals abroad and the circulation of radical foreign periodicals in America. • The illustration, formatting and design of radical periodicals. • The relationship between radical periodicals, organisations and networks. • Radical periodicals, conservation and the archive. • Radical zines and periodical radicalism in the digital age. We welcome work in a number of different formats, including photo-essays, book reviews, interviews and archival notes. Articles for peer review should be between 4,000 and 12,000 words including footnotes. Book reviews should be no more than 1,000 words. Other pieces should be between 2,000 and 5,000 words. Please consult the UCL Press house style in advance of submission. This post was written as part of the JISC funded Institution as e-textbook publisher project. UCL Press outputs for this project include Key Concepts in Public Archaeology and Textbook of Plastic and Reconstructive Surgery. We launched our e-textbook, Key Concepts in Public Archaeology this week. This book appears on our innovative, browser-based HTML platform, and can be found here. 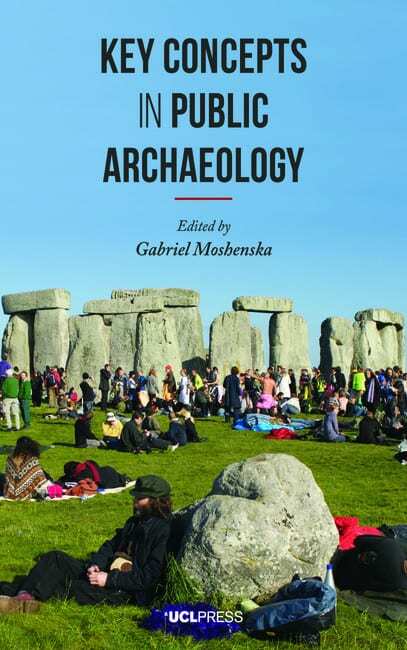 This collection is edited by Gabriel Moshenska, Lecturer in Public Archaeology at UCL, and it brings together contributions from the dynamic field of public archaeology. It is aimed at both undergraduate and MA students and provides a broad overview of the central themes in public archaeology. 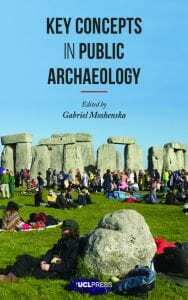 The book also takes into account the growth of scholarship in this area from around the world and seeks to clarify what exactly ‘public archaeology’ is. The first nine chapters are now published, with more chapters to be added to the platform in the next few months allowing it to become an ongoing, evolving resource. The chapters cover a variety of different areas such as ‘Community archaeology’ and ‘Digital media in public archaeology’ and feature a number of illustrative case studies. The platform is published on has been specially developed by UCL Press in collaboration with the award-winning digital developer Armadillo and includes scholarly functionalities such as the ability to highlight, search, annotate, export and cite content as well as saving personalised copies of individual books. We believe these tools really add to the user experience and allow for a unique reading experience. We will also produce an open access PDF as well as a traditional print edition this summer. Alongside these formats, we are working with the digital developer YUDU to produce the complete textbook as an app. The app will offer another option for readers, featuring scholarly functionalities as well as animation. 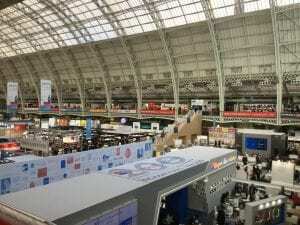 Our Marketing and Distribution Manager is now promoting Key Concepts in Public Archaeology in the coming weeks using both traditional and online marketing channels including mailing lists, listservs, social media, the UCL Press website and other tools to promote the book as widely as possible. This is the second book UCL Press has published as part of the Jisc ‘Institution as e-textbook publisher’ project. As the final part of the project we’ll also be conducting surveys to gather feedback from students, lecturers and librarians about these books to assess how they have found the user experience, in order to inform UCL Press’s future textbook publishing strategy. We look forward to sharing these learning outcomes with the other participants in the project and contributing to the wider discussion about the future of academic textbook publishing. UCL Press was thrilled to win the UCL Brand Ambassador award at the UCL professional services awards yesterday. 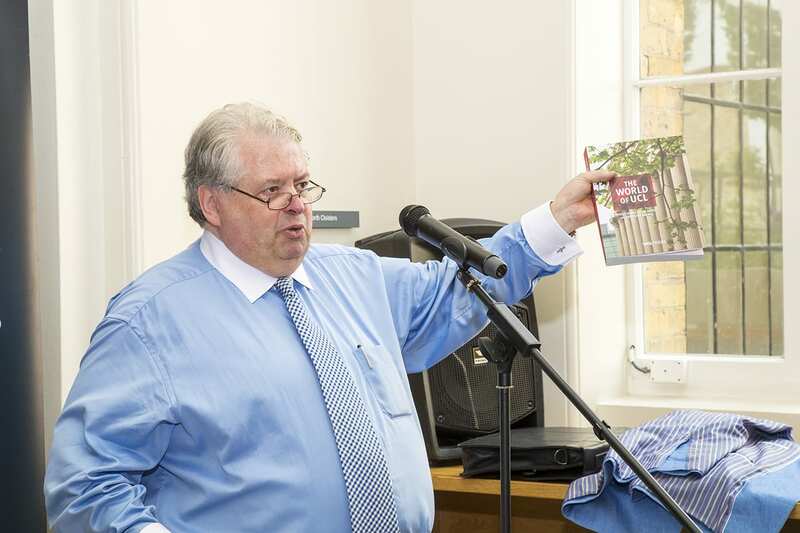 The award was made for the global reach UCL Press’s books and journals have achieved, with download figures now close to 200,000 in over 200 countries since its launch in June 2015. 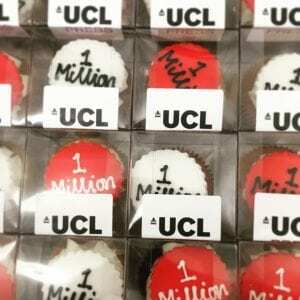 When UCL Press launched, it was the first university press to set up from scratch with an Open Access model. As such, it was a brave step, and since such a venture had never been attempted before in the UK, it was hard to predict the outcome. The idea for the Press was that of Dr Paul Ayris, Pro Vice Provost, UCL Library Services, a leader in OA advocacy for many years, and the Press was the flagship addition to strong OA services and policies already established at UCL. From the outset, the reaction at UCL to the Press has been unfailingly positive: authors have submitted proposals in the hundreds, many of them already committed Open Access advocates with few other OA options for publishing their monographs. 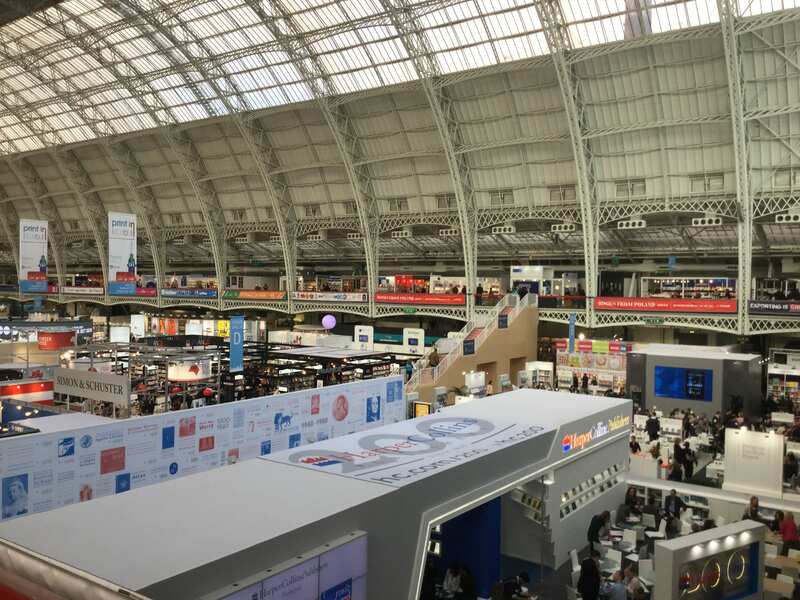 For those early adopters, and for the Senior Management team at UCL who supported the setting up of the Press, their belief is now paying dividends, as research published by UCL Press reaches a huge global audience. Many of those reading UCL Press’s books would not be able to access a print version, either because they would be unaffordable to individuals or to local universities, or simply because print book distribution to many countries around the world is severely limited or indeed non-existent. UCL is committed to being a force for good and enlightenment in the world, and ensuring that the products of its research are made as widely available as possible helps to support that commitment. 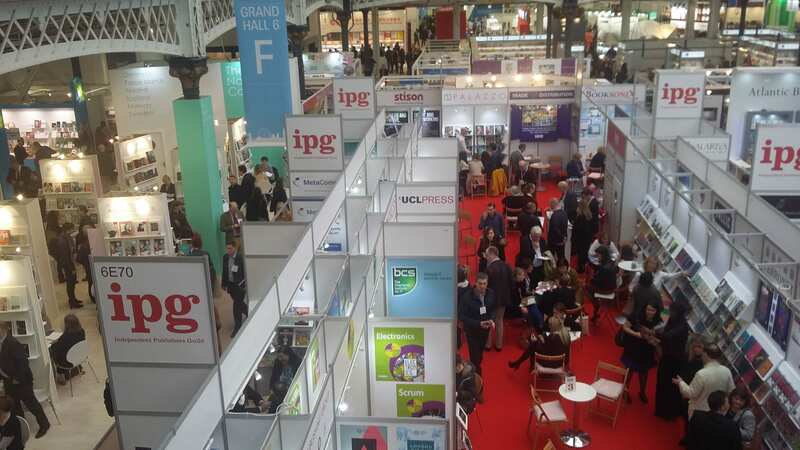 UCL Press is excited to be contributing to the institution’s global presence, and proud that its books and authors are acting as UCL Brand Ambassadors worldwide. I would personally like to thank the whole UCL Press team, our wonderful authors, David Price, Paul Ayris and Martin Moyle for their unfailing support and encouragement, our colleagues in Library Services, and our colleagues around UCL who support us – all of them make this happen. Last week Lara Speicher (Publishing Manager, UCL Press) and I presented a session at the British Library on UCL Press and its new online BOOC platform as part of the second Academic Book Week (23-28 January 2017). Our presentation consisted of an overview of UCL Press followed by an introduction to our new online publication platform, BOOC (to be launched in February 2017). BOOC stands for Books as Open Online Content, and the format consists of a living book that is hosted on a browser-based platform. Material includes traditional content such as reports and presentations alongside non-traditional genres such as videos, presentations, blogs and Storifys. The first project to be published on BOOC is content from the Academic Book of the Future research project, (a project funded by the AHRC and British Library and run by academics at UCL and King’s College London to investigate the future of the academic book) and the pieces included are peer reviewed contributions from industry professionals and academics involved in the project. Content can be added to the platform over time rather than in one go allowing for an ongoing, dynamic evolution. The audience at our talk was made up of librarians, academics, booksellers and other people invested in the academic book. There was genuine interest in the UCL Press model and we received some questions about funding and how academics had reacted to us within the institution. It was great to show the impact UCL Press has achieved in terms of download figures and number of countries reached since launching in June 2015. There was also real engagement from the audience about BOOC. Questions that came up included: how does copyright deposit work with something like BOOC? How are BOOC articles cited? What license does BOOC use? Does BOOC have an ISBN? Is BOOC actually a book or is it just a collection of articles? The latter question feeds directly into the debates that were core to the Academic Book of the Future project – these questions still need to be answered. How do we define an academic book? Is a book a stable thing? What about new editions? Editors of BOOC, Dr Samantha Rayner and Rebecca Lyons were on hand to talk about this. They also discussed the process of curating the material for BOOC and their role as a quality checkpoint along the way. We also gave a demo of BOOC and got very useful feedback from the audience. Most people seemed to admire the clean, simple layout of the site. We had some questions about the searchability functions of BOOC and whether content tagging could be used so that users could click on a keyword and be taken to content on that subject. Others said a bookmarking tool would be useful. We will feedback on this to our digital developer. The beauty of BOOC is that improvements can be made over time. We were pleased with the interesting discussion our talk sparked and look forward to following the continued debates about the future of the academic book!